Wireless CCTV systems are readily available nowadays, and for many people, they are the preferred way to run a closed-circuit television system. There are plenty of reasons why you should go wireless if you’re thinking about protecting your property. Moreover, all these reasons work just as well for businesses and private properties, so whatever you want to protect, this might just be the best way to go. If you’re planning on taking the DIY route and installing it yourself, it’s far easier to make a good job of it if you opt for a wireless system. No drilling or chiselling out walls to accommodate the wires. Far easier, and a lot less mess and hassle for you. Yes, wireless systems do need to be set up correctly, but it is generally a far easier process to go through, especially if you seek some expert technical advice before you get the job done. If you opt for a wired system, you have two challenges. Firstly, you need to figure out how the cabling is going to work and where it is going to go. Secondly, you need to put the work in to allow the wiring to be put into place. That might be easier to achieve in a new build that hasn’t been decorated yet, but what about in other locations? Would you be prepared to put in all the work a cabled kit requires? Maintenance is something that comes with every CCTV kit you buy. Maintain it regularly, and it should provide you with years of good service. However, wired kits give you more elements to check each time. And there is also the chance that wiring could go wrong or fray, and that can be harder to replace – especially if it is hidden away and needs to be dug out. 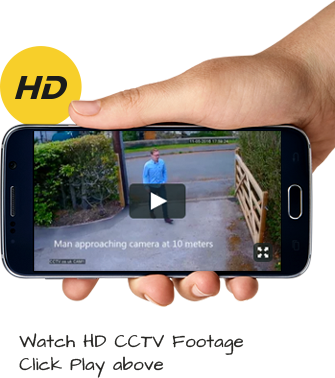 Are you ready to get a free quotation for wireless CCTV? It couldn’t be simpler to find out what a new CCTV system might cost. We stock a complete range of wireless kits with full installation services offered too if you would rather go down that route. Email our team at info@cctv.co.uk or give us a call free on 0800 211 8310 and ask about wireless CCTV systems today.